The 26th of December is often a bit of a let down in America, all this excitement and energy building up to Christmas and then in the blink of an eye it’s finished. Over the following week, lights and decorations are taken down, store displays are back to normal, and the Noble Fir is removed from the Endangered Species list. Not in Italy, oh no. Christmas lights, markets, nativity scenes, and trees are left exactly as they were on December 25th. There really are 12 days of Christmas you see, and Italians remain in the Christmas spirit for all 12 days until January 6th, the Epiphany – the arrival of the Three Kings (of Orient are, bearing gifts, they’ve traversed afar) in Bethlehem. And what Catholic holiday is complete without a middle-of-the-night-down-the-chimney visit from an imaginary figure? 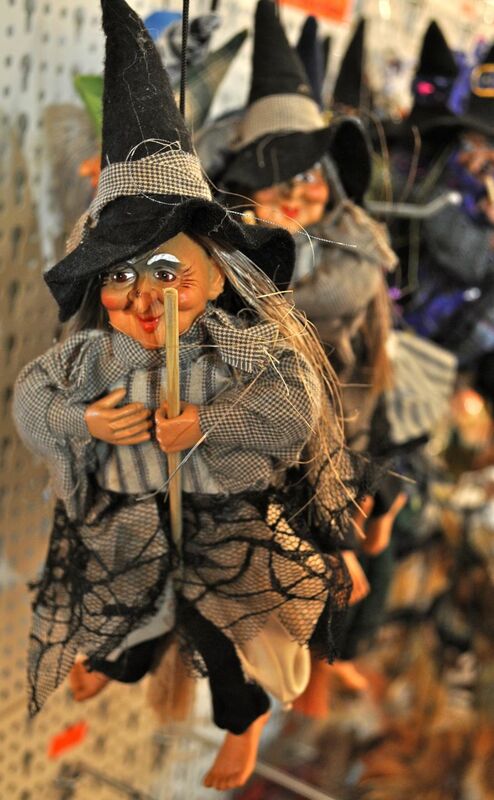 Enter La Befana, an old woman with a crooked smile. For many Italian children, including my 24-year old Roman roommate, the excitement and anticipation of La Befana’s visit greatly exceeds that of Babo Natale – Santa Claus. On the eve of the Epiphany, she arrives barefoot via broomstick and she enters every child’s house through the chimney, seeking the newborn Son of God. While Babo Natale places gifts under the tree, he leaves the task of stuffing the stockings to La Befana: a lump of coal for naughty children and candy for good children. This morning, I woke up to find my very first stocking from La Befana, even she recognizes that I am becoming more a part of this culture every day. And yes, I’ve been good this year. This entry was posted on January 6, 2012 by Katie. It was filed under Italy, Lifestyle & Hobby .